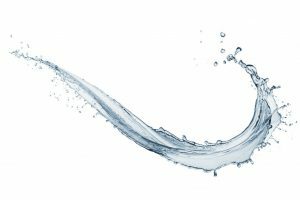 This question has become a popular slogan over the years because there are a lot of things that can happen to water on its journey to your tap. Water can encounter a number of contaminants; some of them you can smell or see, like sediments and dissolved iron, while others you simply can’t detect, such as lead or fluoride. These issues must be confronted with the best water softener you can find. But how does a water softener work and which best water softener to buy? Some of these contaminants are more prone to be found in private water supplies and others are more often found in municipal water. We are no strangers to countless questions about issues related to the safety of drinking tap water. You might be experiencing same problems with your own water supply at home, prompting you to look for the best water softener you can find online,but before you invest in a system, it’s best to know which best water softener to buy and how does a water softener work! Chlorine is a most effective disinfectant and has been in use since the 1850s. Chlorine is a vital component in stopping the spread of waterborne diseases by killing harmful bacteria in water, but it does so at the price of bad taste and smell, as well as drying out your skin and hair and has been know to be a leading factor in other major health issues. Chlorine Is usually found in municipal water. Hydrogen sulfide, a corrosive gas, causes a nasty sulphuric smell in water. It’s most commonly noticed from hot water tanks and groundwater supplies that can make food and beverages unpalatable. When present in high concentrations, sulphur can increase corrosion of metal appliances, leave ugly odor on clothes and hair, and can cause further growth of bacteria. The main indication of acidic water is a blue-green colored stain left behind on your sink once water evaporates. It can leach metals out of your plumbing system, such as, lead and copper causing a metallic taste in your water and can adversely affect the life of your appliances and perhaps your well-being. These microbial pathogens are the contaminants that cause millions of cases of waterborne diseases. If you look in the back of your toilet tank and see something that looks like fish eggs or mushrooms you might see in an aquarium lab experiment, there’s a good chance that your water is infected with bacteria and should be treated as soon as possible. Bacteria can survive for a very long time without intervention and can lurk in your water supply line for a long time until treated. High concentrations of these two metals, which often come together, cause metallic smell and taste, and can cause your clothing and hair to stain, and will also corrode your pipe and fixtures as well as do harm to water heaters and tanks, leading to costly repairs. While fluoride does prevent tooth decay, overexposure to it can lead to dental fluorosis and more drastic health effects in the long run. These include skeletal fluorosis, joint impairment, and potential damage to thyroid gland. While some minerals in water can be beneficial to health, high levels of TDS (combined content of all organic and inorganic substances) beyond what’s normal can cause you more harm than good. You don’t want this to happen and it doesn’t need to. Investing in the best water softener you can find is one of the most effective ways to address TDS. What Does Hard Water Really Mean? How can a liquid be hard? Well, hardness in this case simply refers to the amount of dissolved minerals, such as, calcium and magnesium that is present in your water. While hard water may not initially pose a potential health risk, it is considered to be a major cause of kidney stones as well as other documented ailments. Some of the potential health risk risk you can not see, but some of the problems you can see are noticeable spots or films on glasses and other dishes coming out of your dishwasher. Hard water minerals form soap scum in your tubs and showers because soap and detergents react to the calcium content found in hard water. 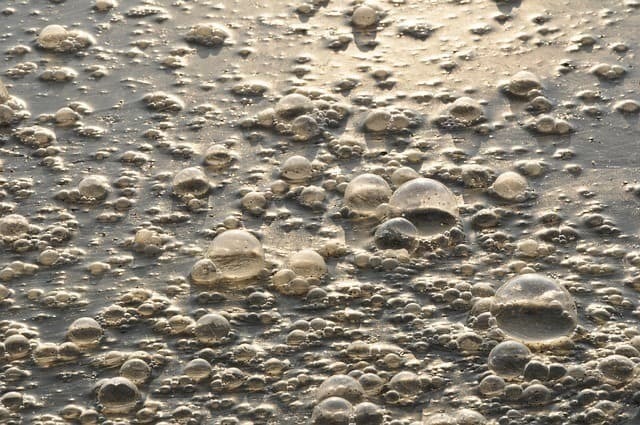 Moreover,these hard water deposits causes scale deposits of calcium carbonate in your water using appliances such as water heaters, dishwashers,washing machines, and your coffee maker, too! This mineral buildup is not only unsightly but can also result in high operation costs and reduced efficiency of your appliances, as well as clog your pipes, leading to costly repairs and premature replacements. Washing or cleaning with hard water also leads to using more detergents and soaps than necessary. It can also make the hair of those bathing in it turn brittle and dry out your skin. 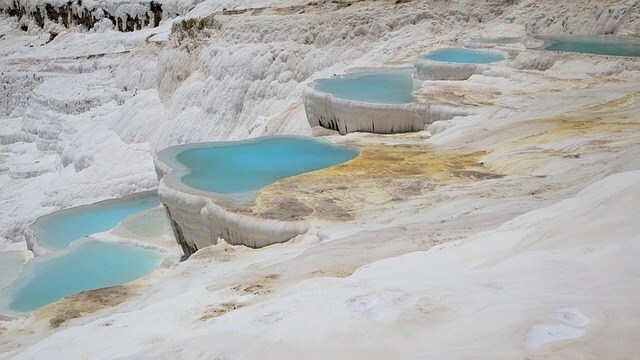 Despite all these nuisances caused by hard water, there are those that argue that water plagued by these mineral deposits provides some health benefits as well. 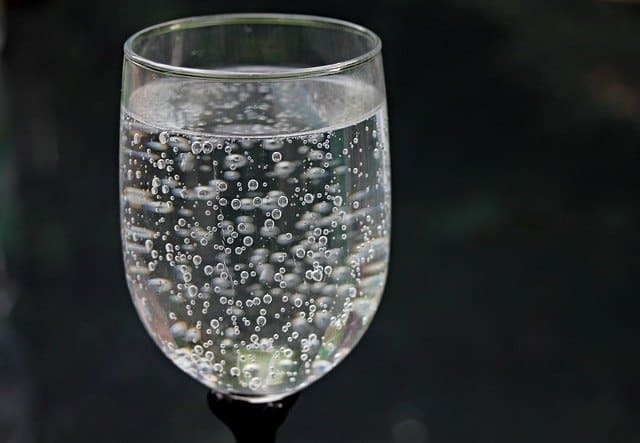 The National Research Council highlights that generally, drinking hard water helps contribute a small amount of calcium and magnesium which are both essential minerals for humans to stay healthy. 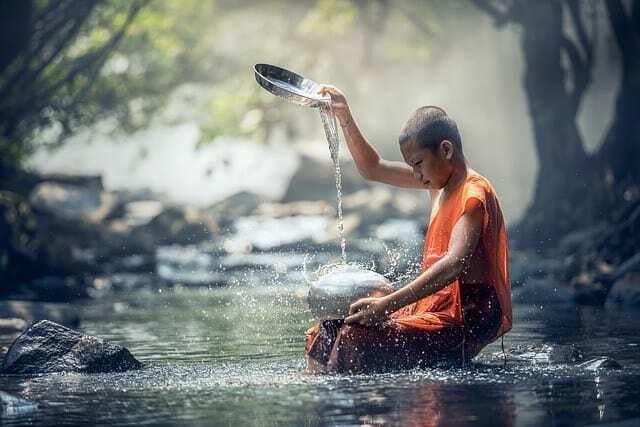 This is, of course, given that you only get good amount of those healthy minerals from hard water, without the accompaniment of harmful substances. There are also critiques that argue that no good ever came from hard water and that’s why millions and millions of homes across the globe protect their sacred water supplies with the best water softener they can find. There is of-course somewhat of an initial investment, but the best water softeners are known to save you a lot of money spent on damaged clothes, soap, appliances, and maybe doctor bills! 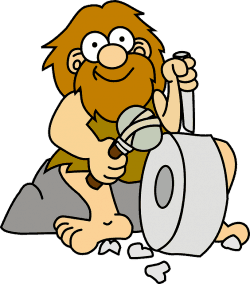 While the concept of water treatment dates back to 1500 BC Egypt, water softening was actually discovered in the mid 1800’s by Harry Stephen Macy Thompson, an agriculturalist, and John Thomas Way, a chemist. They discovered that calcium sulphate solution is formed when fertilizer found its way through layers of soil. This discovery was reported to the Royal Agricultural Society of England which claimed that certain minerals in the soil causes such a reaction. 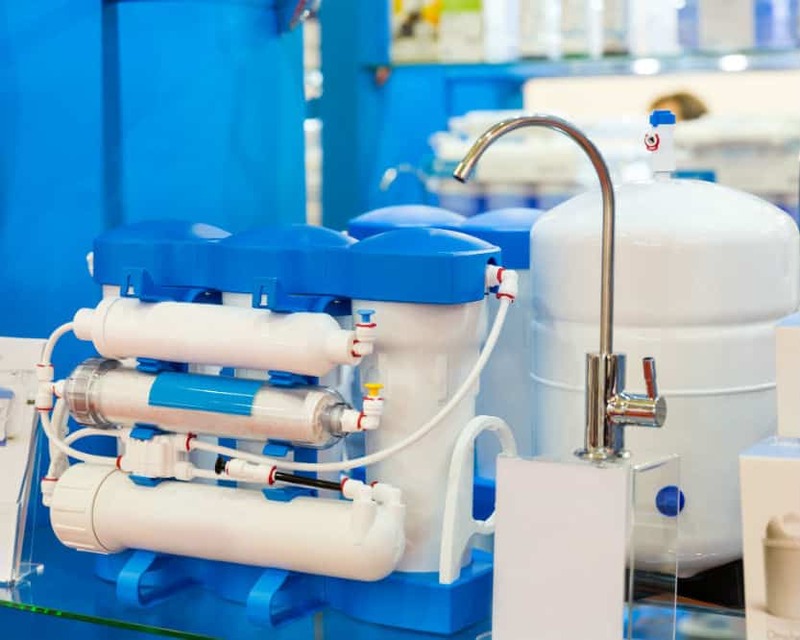 From then on, water softening became big news and it was in 1905 when Dr. Robert Gans of Germany developed the first scale hardness removal system using a natural zeolite type of soil. Five years later, the first commercial zeolite softening system was installed at an electric power plant in Moscow, Russia. Fast forward to 1936, dissolved solids reduction was done using ion exchange and water softening largely accounted for most water treatment purposes. And eventually, with technology advancement, household markets for the best water softeners expanded and they became more affordable and easier to use in residential setting. At the heart of a water softeners effectiveness are cullex resin beads which are little spheres, ranging in size from about 0.3-1.2mm.,they’re made of polystyrene strands that are wrapped around in a crisscross pattern, glued together by divinylbenzene. It’s the number of links in the resin bead that determines its durability and strength. The higher the number, the longer it lasts. It’s simple mathematics as you know. Most water softeners have 8% crosslink resin beads, and only a few of the best water softeners use as much as 10%. Among these few is the most popular patented Cullex resin by Culligan International, a well-known water treatment company. These Cullex resin beads are considered to be the finest resinous softening media available in the market today. This cation resin bead has a diameter of less than 1/32 of an inch, has a negative electrical charge and is insoluble in water. While the best water softener might utilize different resin technology, they all use the same operating principle process of ion exchange, it’s in the resin beads where exchange of ions actually happens. Ions work like a magnet in attracting positively charged ions (calcium and magnesium). Typically, the resin has a greater affinity for a denser, or larger cation. These amazing resin beads are contained in a pressurized tank where the entire water softening process occurs. At the start of the softening process, the resin beads are rinsed with a sodium chloride or brine solution, with single charged ions. As the untreated hard water passes through the bed of resin, the sodium ions (Na+) covering the resin beads are being displaced by calcium (Ca++) and magnesium (Mg++) ions. In other words, the resin exchanges the sodium ions for the calcium and magnesium ions in hard water, producing “soft water” out of the resin tank. Once the bed of resin has no more sodium ions to exchange with calcium and magnesium ions, it has been exhausted and the water softener is regenerated with salt that is used to clean the resin and to replenish the desired exchange capacity. Won’t my water be salty? When all of the best water softeners become filled with calcium and magnesium Ions they are set to go into regeneration status to cleanse the cullex resin.Regeneration is typically set to occur at night while your sleeping and the majority of the salt along with contaminants that (may also contain lead) are flushed down your drain. Though a small amount of salt may remain in your water it is considered by the industry to be a small amount, usually no more than you would find in a slice or loaf of bread. Water is a natural solvent, meaning that it has the ability to dissolve sediments and minerals encountered on its path to your water outlets. This process of dissolution has been attributed to the introduction of significant amounts of minerals, mainly calcium and magnesium, into most water supplies around the country. As such, “hard water” is born. In fact, the U.S. Geological Survey reported that over 80% of geographic locations in the U.S. have hard water. The concentrations of these minerals rise as water becomes evaporated, creating saturated water which results in scale buildup. There’s no wonder why many homeowners consider installing the best water softener to do away with the potentially damaging effects of scale or mineral deposits. Every cubic foot of cullex resin beads can effectively remove both calcium, magnesium, and clear water iron, from approximately 3,200 gallons of hard water. This can be translated to 10 grains per gallon of hardness as defined by the Water Quality Association. Typically, sodium positive ions are used to cover the resin as hard water flows through the resin on its way to your tap, these naturally occurring minerals with positive ions are being attracted and stick to the resin, and eventually, most of the sodium used as ion exchangers accompany the sediments down the drain. This water softening process introduces only about 750 mg of sodium to every gallon of softened water. This sodium content is considered by the U.S. Food and Drug Administration to fall safely under “low range” for commercial beverages. If you are worried about your overall intake of sodium, there are resins that make use of potassium chloride salt instead to perform the ion exchange job. It’s just that they tend to be a little more expensive than the regular sodium chloride solution. In case your mind is still battling whether or not the best water softeners are indeed a worthy investment, let’s take a look at the amazing benefits and a few drawbacks of owning one in your home. You be the judge afterwards. If you haven’t experienced it yet, mineral deposits or lime scale buildup caused by hard water can adversely affect your plumbing system. This buildup can clog your pipes, causing a significant decrease in water pressure. Or worse, scale buildup can eventually damage your expensive household appliances, such as your water heater, air conditioners, dishwasher, and washing machine. If you continue to ignore this buildup, it’s very likely that you’ll have to budget for a very costly replacement of pipes or replacements of your home appliances. Installing a water softener will significantly reduce scale buildup or even prevent it from happening. Over time it will even diminish the build up that already existed before you made the wise decision of which best water softener to is best for you and actually purchasing the best water softener you can find. One of the biggest frustrations of homeowners, especially wives, with hard water is the soap curd it leaves on their sinks, tubs, faucets, and shower stalls; this is quite hard to take off. Hard water also interferes with and diminishes the cleaning power of your cleaning products in removing such curd. Soft water will not only save you a lot of money on cleaning products but can also significantly decrease the amount of time and effort you’ll need for the cleanup. The same unpleasant soap cuds film that are created by hard water that you see on your fixtures also sticks to your body when bathing in it. Body soaps and shampoos do not lather well as they’re supposed to do, giving you a sticky and unclean feeling even after you just rinse off. It can also turn your hair brittle and dry, making it difficult to manage. Soft water on the other hand leaves your hair and skin shiny and soft. Is this the first time you are experiencing real lather? Yep, those are real soap suds you are seeing for the first time! Again, washing your clothes with hard water is much more difficult because the dissolved minerals impedes the cleaning capacity of your detergents and bleaches. You end up using more of them than necessary and washing fabrics more often, increasing their wear and tear. Clearly, the decision to own one of the best water softeners is well-founded by the benefits that this wonderful technology provides, but of course, you also ought to know what’s on the other side of the coin. If water taste is not an issue, then you’re almost good to go. As you already know by now, in traditional water softeners ,salt is used to cleanse the resin to remove the hard minerals (calcium, magnesium, and iron) from water, making its sodium content a little higher than it was before. 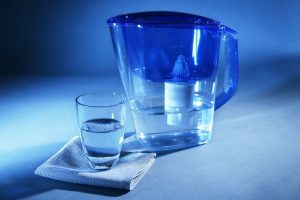 Obviously, if you are on a sodium-restricted diet because of health reasons, then you might be thinking twice if the best water softener will be a good source of your drinking water. To give you a clearer picture about this health concern, it has been considered that on the average, drinking softened water accounts for less than 3% overall sodium intake by a person. Studies say that an average person consumes about 2-3 teaspoons of salt daily from different sources. Let’s say you’re consuming at most 3 liters of water daily, the amount of sodium you’ll get from drinking soft water is very minimal compared to your intake of sodium-rich foods. In-order to reap the many benefits of soft water, of course, you need to invest in buying the best water softener. Initially, the equipment may seem a bit costly. The costs vary depending on the type of the water softening equipment and energy used to run them, this cost will be also be affected by the level of hardness in your water that requires softening. 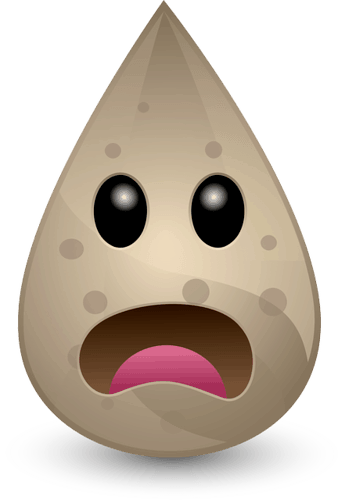 Generally, the entire process of water softening can cost around $0.23 to $0.47 a day. While the running cost, that’s merely the cost of salt, is likely to be about $2.20 per head per month. Many have said that they have saved much more than that in soap and detergents alone. Hard water or soft water? You decide! All you have to do is decide which best water softener works for you and contact your plumber to help install it, or if you are handy yourself, then this will give you something to do this weekend. Have fun and make sure there are plenty of refreshments and snacks! Now that you’ve come to a decision of investing your hard-earned money on one of the best water softeners, there’s hardly a better option than the Fleck 5600SXT Whole House System Water Softener. With several great features, particularly its large capacity of 48,000 grains, it’s a perfect choice if you have a big household of up to 6 people. It can treat as much as 12 GPM service flow rates of moderate to very hard water. This is a complete water softening system for removing hardness from your water once and for all. It includes all the components needed for operation: the tank, resin, control head, and brine tank with safety float. Its digital flow meter is designed to intelligently manage your water consumption and regenerate timely when you need. Another thing you’ll love about Fleck 5600SXT is that it prevents wasting much water and keeps your salt usage to a very minimum. Also, compared to other softeners with turbine style meter, the paddlewheel of this softener tends to be more reliable and durable. It comes equipped with an LCD display that shows current system status, as well as let you know any problems or issues by displaying the error codes for troubleshooting. You can also easily control the features and settings with easy-to-use touchpad control panel. If you think that’s all, wait there’s more to this product than it’s plain-looking, black-colored structure. The float assembly offers very convenient plumbing and servicing with its bypass valve and 1-inch yoke connection. This makes the installation of the system not that difficult if you’re a bit handy, and there’s a very detailed guide from the manufacturer with easy-to-understand steps and helpful tips. To top it all, Fleck 5600SXT is an authentic American-made product, a great proof of superior durability and reliability! If you’re in need of one of the best water softener systems that is capable of both filtering and softening your hard water without dealing with sodium, then the Aquasana EQ-1000-AST would be a great addition to address your needs. It may not be that cheap compared to other best water softeners, but it’s designed to service 1 million gallons of water or equivalent to about 10 years of pure and softer water! How cool is that? 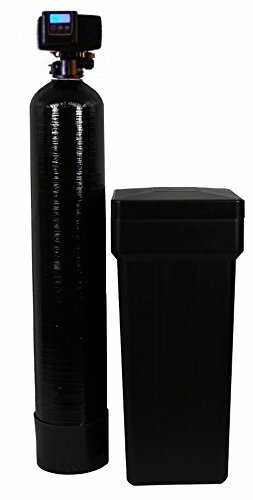 Having such a high performance water filter and softener kit makes access to clean water much easier than ever. It can effectively remove as much as 97% of chlorine and reduce the amount of potentially harmful heavy metals, including lead and mercury, from your tap water. The water softener included in this package utilizes the salt-free SCM technology to remove scale buildup, protecting your plumbing system and expensive home appliances. Also, it’s not your usual water softener as it will not introduce too much salt or any chemicals to the water, making it gentler to the environment. When it comes to its filtration capability, it uses the high-performing up flow technology called Rhino that offers great benefits for your water. It will guarantee that the filter media effectively does its job of cleaning your water through a 4-stage filtration system, while preventing clogging and media channeling. The only major drawback of this system is that the whole kit can be difficult to install if you’re not familiar with the basic plumbing. It might be best to let a professional do the installation, but you can still do it yourself because Aquasana includes the best tools to make it easier: brass fittings, bend supports, and pre- and post-filters. Another stand-out feature of Aquasana EQ-1000-AST is its low maintenance, without requiring you to do back-flushing unlike other water filtration systems. You don’t have to bother cleansing or rinsing the system, just the simple task of changing the filters periodically. 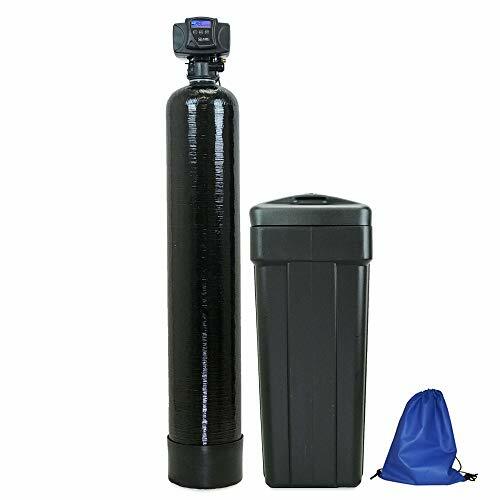 ABCwaters Built Fleck 5600sxt is another one of the top 10 best water softening system that provides lots of great features at a reasonable price. It’s obviously one of the highest quality featuring the top-notch technology and most trusted digital valve meter – the Fleck 5600sxt ensures softer water that’s not only beneficial to your water consumption but to your hygiene, too. In terms of capacity, the 48,000 grain will be more than enough to cater the needs of a big household. With this system, you get 10% more crosslink special commercial-grade resin. It means it can hold up much better and longer than the typical 8% resin, about 2-3 years more, while extending the durability of the entire system. 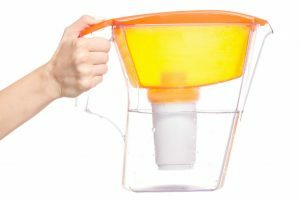 Talking about performance, the unit can efficiently remove limescale buildup with the use of a reliable technique of exchanging ions to get rid of hard minerals, mainly calcium and magnesium. One great upside of this sophisticated system is its ability to count down the amount of gallons you have already used and determine when it’s time to regenerate with some reserve. This means no chance for you to be running out of soft water. Regeneration is meter-based that automatically occurs when the record shows 0 gallon. The system’s controller works through an LCD display with user-friendly buttons in case you need to adjust the settings. The integrated power backup makes the machine even more reliable in times of power outage. The package also includes a poly-glass tank made with high durability, and a brine tank with the capacity to hold up to 250 pounds of salt. In order to prevent the danger of overfilling, the tank is equipped with safety float. Unwanted water mess is also avoided with an overflow drain. What more can you ask for? ABCwaters Built Fleck 5600sxt can cost a bit more than your local store products, but why not spend a little extra to get superior quality? Price must not be the sole deciding factor in this case but also performance and efficiency as well. With all these accolades, it’s no wonder this product deserves a spot on our list for the best water softener. 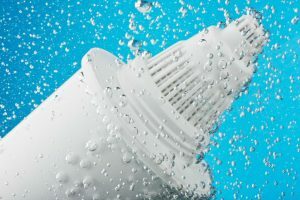 The bread and butter of our list of best water softeners is the removal of calcium and magnesium ions which are largely the culprits responsible for making your water hard. If you opt to purchase Fleck IRON Pro 2 Combination, you get two more great services- the filtration of iron and the removal of Sulphur. Whereas the rest of our list are capable and willing of removing dissolved iron (clear water iron) without any problem. This model can also remove undissolved iron (red-water iron) that can really reap havoc on anything in its path. You literally kill two birds with one stone with a product that effectively removes both scale and iron from your water without using any type of specialty resin, solving your red stain issues at home. This system says goodbye to sediments and rust, as well as sulfur that stinks up your entire house, and turns everything black up to 2 ppm, providing you with purer and odorless water. Its flow rate is rather strong as it treats a maximum of 15 GPM. Also, thanks to its durability and high-quality fine mesh that’s designed to a better job at filtering and softening your water. Same with other Fleck water softeners, this product is equipped with meter-based regeneration which is the key behind the efficiency and longevity of the unit. It will regenerate automatically according to your water consumption or usage pattern, saving you from unnecessary water and power wastage. You can adjust the setting anytime through the touchpad controls on top of the equipment. In terms of installation, you might find it a bit of a struggle if you don’t have any idea about plumbing. No need to panic though because you can refer to the manual or call and seek assistance from the reliable technical support team of the manufacturer to properly install the unit. Our advise is to have a plumber hook it up. All these things taken into account, plus the fact that the product is made in the USA, it will take the quality of your tap water to the next level. If you’re considering the cost of installing a water softener and a separate whole house water filter, the price of WaterBoss 700 is quite appealing. 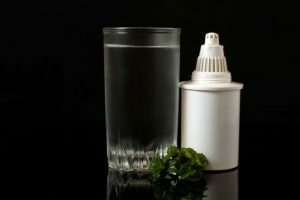 Just like the other best water softener in this list, this one offers the added benefit of being a water filter, too! The system has the capacity to soften as much as 70 grains per gallon of hardness while reduces dirt, sediment, and iron up to 10 ppm. It’s rarely offline as well and utilizes less water as it regenerates very quickly, about 18 minutes only, meaning you don’t have to leave it running all night long for regeneration. It also regenerates automatically and is intelligent enough to know how much water and salt are required to do the task. In case you need instant filter cleaning and softener regeneration, you can simply adjust the setting through the digital control. Also, you can easily squeeze it into a corner due to its compact design with the brine tank and resin in one unit. You can rarely find this kind of product! In terms of system installation, you can do it without paying a plumber. The manufacturer didn’t overlook to include the bypass valve making it easy to turn off the unit when it’s time for servicing. On top of all these great features, it’s not the most refined type of filter with 20-micron rating but remember that it’s a water softener first and foremost. WaterBoss 700 is a low maintenance solution to address your hard water issues at home. Morton M30 Water Softener is similar to WaterBoss when it comes to having a single tank design but differs in its patented System Saver technology. It offers much more efficient use of cleaning products, benefiting you with substantial savings both in time and money. By utilizing the “look ahead” electronic technology, it can predict future trends of your water consumption through your water usage pattern. With this technology, the manufacture confidently says you may save as much as 50% of salt. You can also set the system to regenerate instantly, at certain time of the day. The system has 30,000 grain capacity, making it capable to handle the needs of a big family. What more, in case your home should run out of power, this water softener can still work for 8 hours with its power interruption backup. It’s no wonder why it’s hailed as one of the best water softeners available online. Apart from removing the two main hard minerals, calcium and magnesium, it can also remove moderate traces of iron from your water. It’s just that it won’t work with well water supply since it is not designed to filter out sediments without the help of additional filter. Not a biggy, Just add a cheap sediment filter and your good to go! On a final note, Morton M30 has been deemed effective and efficient in reducing hardness as supported by NSF certifications for water softening industry. Now, meet the best-buddy of RV owners – Watts RV PRO-1000 Water Softener. If you are one of those who love to enjoy drinking pure, soft water while on the road, this product is perfectly made just for people like you! 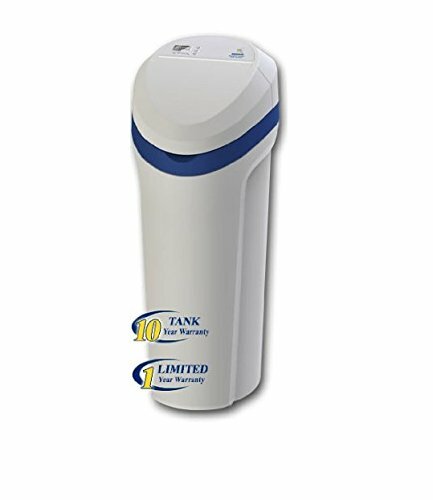 It’s a versatile water softener that is not only perfect for an RV, but also performs a good job of eliminating hard water stains due to calcium, magnesium, and trace amounts of iron from your water. Practically speaking, it’s not a whole house water softening system but comes with everything necessary to install and run it. 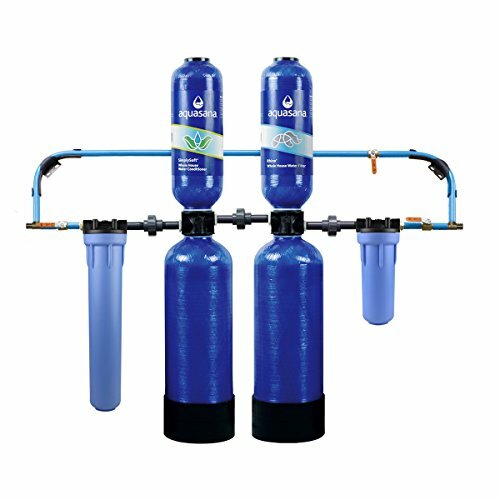 It’s equipped with custom-made flow valve for a very convenient regeneration, without busying yourself of connecting or disconnecting the system. Another solid reason to consider this product is its built-in drain line flow restrictor enhances regeneration rate, increasing its capacity as much as 55%. Also, it utilizes high-quality resin with ⅓ cubic feet capacity, using common table salt. When it comes to construction, it stands out from the rest of other best water softeners with its portability and full cradle base tank for a more secure fit. Same with the most durable products, this water softener is made in the U.S.A.
To complete its great features, Watts RV PRO-1000 has high flow rate of 4 GPM with low pressure drop. You will also be impressed by how effective this product is at softening your water. It softens hard water in the same way as how more expensive water softeners do in a much lower price. If ever you have the need to soften water on an RV, this product is highly recommended for you! If you’re wondering whether there’s a water softener that can do all the things at a good price, Aquios FS-220 Salt-Free Water Softener is a solid proof that such product does exist. 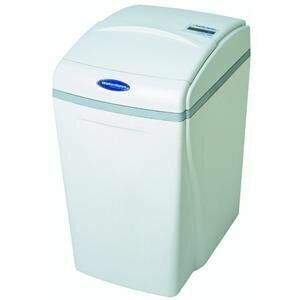 This product is perhaps the tiniest of the best water softener list that you can find online, but don’t be misled by its small size. It gives you great value for your money as it comes with a carbon block filter. Yes, you hear it right! 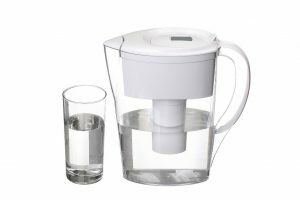 It will not just remove the hardness minerals to soften your water, but also filter it down to 5 microns for a purer and better-tasting water. 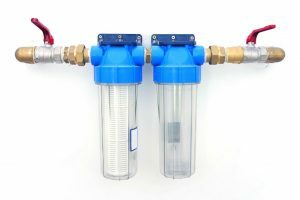 The water filtration is pretty standard, but hey you can forget the nasty taste of chlorine or chloramine and other particles from your tap water that this system will remove. Apart from having a filter, this tiny water softener is also salt-free, alas! It’s the perfect option for individuals facing salt-related health issues. Instead, the system is using a food grade additive which means you don’t have to deal with the resin ever. You just need replenish the additives once exhausted, about every few months. While Aquios FS-220 may not be the best choice to deal with the heaviest water, it’s an economical choice that’s gives you excellent performance! 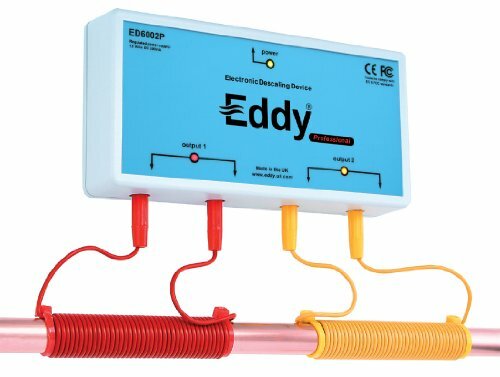 If you are plagued by hard water issues at home, Eddy Water Descaler is definitely worth the investment. Just to be clear, this product is not really a water softener but emulates the job of the equipment by reducing scale deposits without altering the Total Dissolved Solids, or TDS, of your water. It means the natural healthy minerals present in hard water, such as calcium and magnesium, are retained in the water but will not cause limescale buildup in your plumbing fixtures and appliances. You might be wondering how can this be possible? Well, this is done using the principle of electromagnetism wherein electromagnetic waves (that goes through the coils around the water pipe) alter the chemical state of the hard minerals (calcium, magnesium, manganese salts, iron, and etc). Once altered these minerals become more soluble particles, meaning they’re less likely to form scale buildup to pipes, heaters, washers, and faucets. It’s how the system does its clever job in reducing limescale buildup without eliminating the healthy minerals in the process. In addition to its unique performance, what makes Eddy even more attractive to many homeowners is the savings from not buying salt as is the case with a conventional water softener. Also, this salt-free alternative requires the simplest process of installation, which will only take you about 5 minutes to secure in place. This electronic magnetic descaler is obviously an underrated product within the banner of the best water softener. It has been very effective and reliable as majority of users noted. There is of course and initial investment, but it’s worth it if your hard water problems are getting out of control. 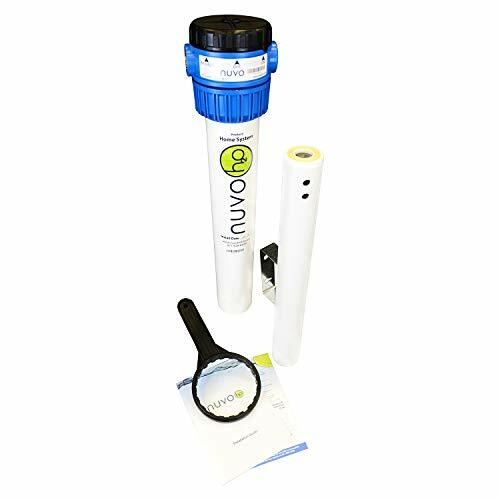 If you are going after a basic yet reliable water softener that does exactly as it claims to do, then go for Nuvo H20 DPHB Water Softener System. It does just enough to soften and improve the quality of your water by reducing corrosion and scale buildup, making water taste better. Also, its compact design offers a space saving solution. It also has a pretty good flow rate of about 12 to 15 GPM, and since you don’t have to deal with any salt and resin, you need to change the cartridge periodically. While the manufacturer claims it will be good for around 50,000 gallons, it still depends on your water usage rate. When it comes to installing the unit, the package set will make your life much easier. It includes all the hardware needed to mount the unit, with 1-inch diameter inlets. Another big plus is the bypass valve that will be a great help in changing the cartridge. In general, the installation process is very simple without requiring you to ask for professional help. There’s no question about how this unit softens hard water from public supplies but unluckily, when you’re dealing with well water, you’d better off using a filter beside it since it can’t handle sediments. Despite of this, the money back guarantee and reliability of Nuvo H20 DPHB are good justifications of its price.